How to prepare before you move to London and also what to do during the first days. Booking your flight: look on Skyscanner or Kayak for the best offers. 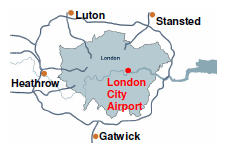 London has mainly 5 airports: City Airport, Heathrow (55 min tube 4GBP ticket), Gatwick(30 min train “Gatwick Express”, 20GBP), Luton(40 min train, 15 GBP), Stansted (1h 10min bus “National Express”, 10GBP). Book accommodation for the first week: Book a hostel or a room on a private flat/house on AirBnB (use this Airbnb referral link to get 25GBP discount on your first booking www.airbnb.co.uk/c/jsenent1 ). Price 17 GBP/night shared room in a hostel, 25 GBP/night private room on AirBnB. Which area to stay? definitely zones 1 and 2. 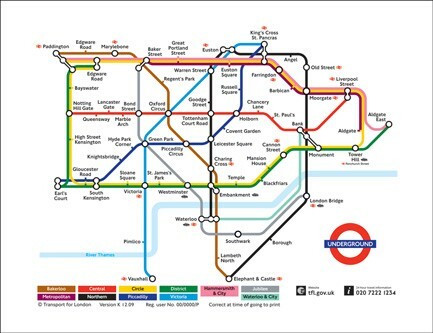 Best areas; look around Shoreditch if you are willing to work in the Tech City. Another recommended areas are the south of the river London Bridge, Angel, Southwark and Lambeth, it is close to the City and good value. Get a Revolut Mastercard. Exchange Euros/Dollars to Pounds instantly at almost no fee. When using your regular bank card there is actually a hidden 3% exchange rate. Regarding cash best way to get a good rate is to place a “Fast Track Branch Collection service order from the website Thomas Exchange Global. Get Data Roaming on your foreign phone, you will need internet on your first day to move around, check the next point. Download Citymapper, Uber and Airbnb. 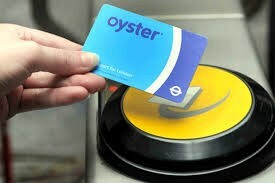 Public Transport within London: get the Oyster card on any tube station (refundable 5GBP per card) top up weekly 30GBP/week approx. Phone number: get a pay as you go sim card on a Three store. About 13GBP for 1Gb data and 200 voice minutes. Look for Three and EE stores. Remember to bring an unlocked smartphone. Download then CityMapper to get around in London. Look for permanent accommodation: best option is to share a flat, look in the following sites: spareroom.co.uk, gumtree.com, London Flatmatesfacebook group. Apply for a National Insurance Number here (NIN). Most employers will require your NIN or at least the temporary one. It takes about 3 weeks to get an appointment from the day you call them. Open a Bank Account: you will need first a proof of address, a postal card will be enough. Some Banks might be difficult if you do not have yet a job, we recommend Barclays, Santander, Nationwide, . Hope you find this checkpoints useful and help you to have a smooth transition to this capital. London needs software developers. How to find a tech job?